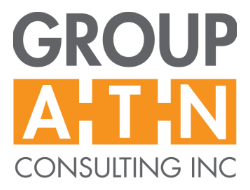 Group ATN Consulting is a diversified consultancy serving the public and private Sectors, First Nations and Aboriginal Interests and Non-Governmental Organizations (NGOs). Their mission is to support and optimize value to our clients. Their philosophy springs from key commitments to quality, thought leadership, focused customer service, innovative solutions, and absolute accountability. Group ATN Consulting provides services including feasibility assessments, business development strategies, government relations services, policy development and analysis, economic analysis, and more. Their team also works hard to remain current on leading issues and trends by exposing their consultants to a network of thought leaders, tracking and analyzing economic and social trends, subscribing to social media, maintaining an advisory group of seasoned leaders, and actively participating in forums and events that provide opportunities for learning and the collision of ideas.